I beg to differ, I find putting on weight quite easy to be honest, I have genes to store fat around the belly but I choose what I eat and excercise the extra fat away. Blaming obesity on genetics is harmful in my view. Unless someone has a serious problem with their liver, I can't see why regulating intake and using more energy wouldn't work. Sure, some people have it easier than others but saying any dieting in the world probably wouldn't work well is quite a stretch. About family members being fat contributing to obesity, I find it would just as well have to do with upbringing as genetics. LCHF ~ Lifestyle, not a diet. Been on it over a year. Lost 50lbs and a few meds. Have never felt better. Our diet IS our health. The politicians took it away from us with GMO and the cholesterol scam. (03-23-2017, 12:45 PM)DaJavoo Wrote: LCHF ~ Lifestyle, not a diet. Oh yeah, a lifestyle change for the better. Practically everyone I know eats better. my dad and mom, they have an occassional snack late at night, but never gain weight. all the fattening foods settle on my waist area. i always check to see if i have any "love handles" when i was much younger, snacking on a late night burrito or burger was a joy. its murder now. 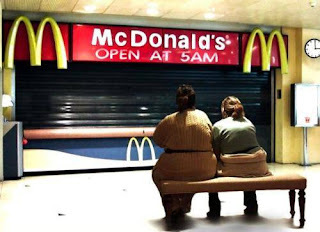 we have fast food places that are open past 2am! for now, ive decided to eat only high fiber oatmeal for dinner along with some digestive biscuits as dessert.. until i can drop to 140. iam hovering around 141. As long as we're talking pounds, not kilos...141 isn't much weight at all. you familiar with "mcvitties" digestive biscuits bro? they are imported from the uk. i love them. as well as "walkers" oat biscuits. (03-21-2017, 06:33 PM)NexusOne Wrote: for over 10 years ive tried to keep my weight steady at 140. think thats too low? think again. im fine with it. iam still healthy and very well nourished...maybe too much! there is too damm much temptation in this world. bombarded by deceptive, but enticing commercials like the carl's jr breakfast burger with the most annoying soundtrack. and then all the foodie ads in magazines. i try eat healthy. i eat about 10 grams of fiber per day, and i snack on such things as peanuts for a healthy heart and baked multi grain pita chips. i drink plenty of liquids daily and exercise too. i have a hard time focusing on my goals. i used to have strong willpower. i got that off my chest. After finding out I had diabetes I have had to be a more little careful with what I eat and in the last year I have managed to lose somewhere between 30-40 pounds and supposedly have both my high blood pressure and A1C levels under control. Want to know my secret? I know nearly 0% percent on what I need to do about monitoring and controlling my diabetes (all I know is that I need to avoid sugar as much as possible, but nearly all calories come from either sugar and or fat)), but since I'm not working I don't eat as much sugary/caffeinated food, eat about 2 meals/1200 calories instead of 3 meals/2000+ a day, and being on food stamps often prevents me from just being able to eat what I want whenever I want. That plus the fact that I don't 'stress' eat (eat to deal with depression, stress, etc) while working and such. I don't know if that helps, but I think it kind of puts things in perspective in that we often eat in order to cope with things, we don't naturally have any mechanism to prevent us from graze eating, but if one is taken away from being able to eat whenever they want and/or taken away from a lot of the stress that may cause one to stress it, it is easier to control and or lose weight. That plus my diabetes medication tended to make me to sick/nausea to be able to eat that much for many of the months that I took it. All cells run on glucose for fuel, our body converts all the things we eat to glucose, just at different rate. Why sugar is so dangerous is because it's instant fuel and excess is stored as fat. Our body doesn't need to do anything under those conditions. Refined wheat is basically sugar, it converts to glucose as you chew it in your mouth. Diabetes type 2 is insulin resistance, your body's rebellion against boredom of not getting to do its thing. If you want your body to run on fat for fuel (ketosis) you need to not only eliminate sugar but also refined everything.